It Only Takes 22 minutes! The MAPP (Motivational Appraisal Personal Potential) career assessment is perfect for students, graduates and working adults. You'll get a wealth of information to help find the right career that matches your unique assessment profile. 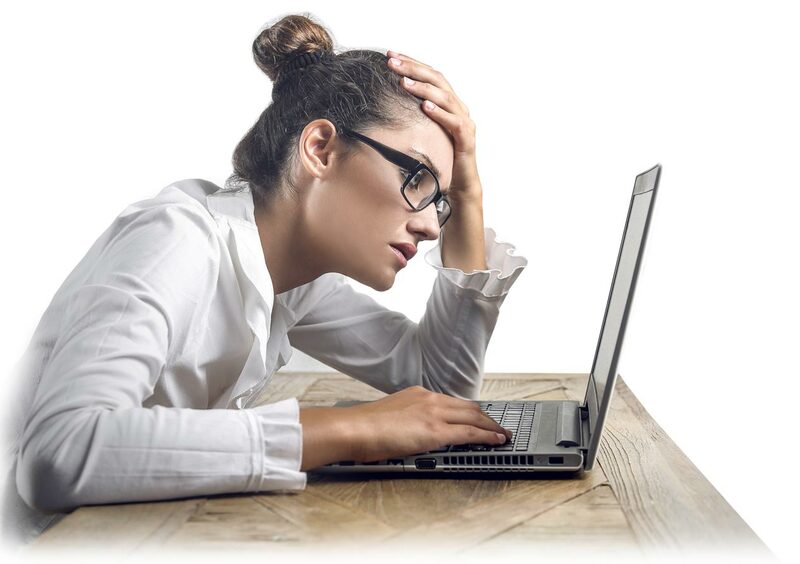 Our career test is perfect if you’re feeling burned out or are unsatisfied in your current job. First, start by taking the free online career test, which will give you an overall idea of where your true career motivations lie along with your top ten vocational areas. Then, if you’re like most people, you’ll want to get some new career ideas. That’s what’s unique about the MAPP test. After you take the test, you are matched against over 1000 possible careers in our career database. 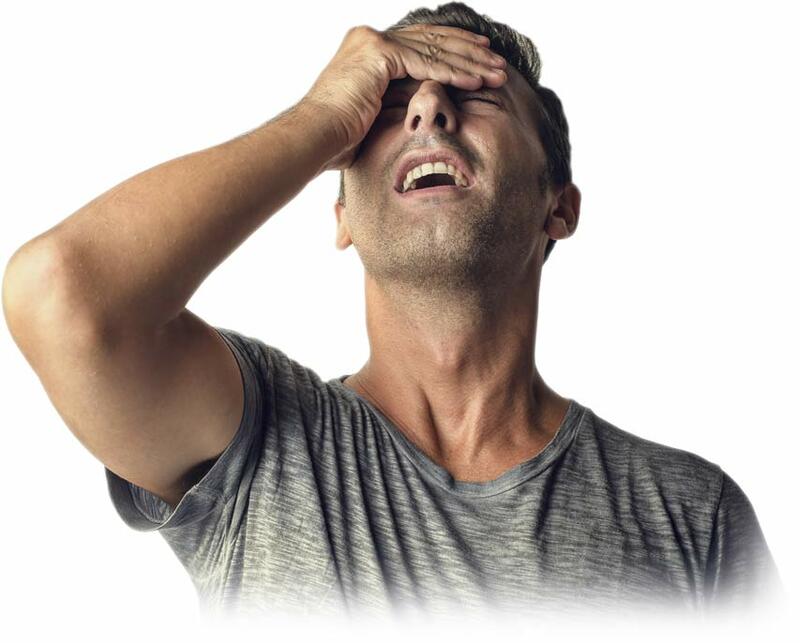 Career testing is perfect if you’re unemployed or underemployed and your daily mantra is: "I need a new job now!" The best online career test, the MAPP assessment can help you focus on the careers and jobs you are best suited for. Don’t waste time by looking for jobs that won’t be a good match for you. You don’t want to be saying "I need a new job now" over and over again as you jump from one unfulfilling job to the next. Learn your true calling by your motivations and find a career you’ll love with the MAPP career test. Other career aptitude tests might tell you all about your personality. But the MAPP assessment takes it a giant step further. We will actually help you find the right job for you: your true calling! Only the MAPP assessment will take your unique career aptitude test results and match them to real careers and real jobs that are right for you. The MAPP test has undergone extensive validity and reliability testing by a number of psychologists, including correlating the results to the Strong Interest Inventory®. Reliability studies also indicate that the MAPP assessment test is consistent over time. 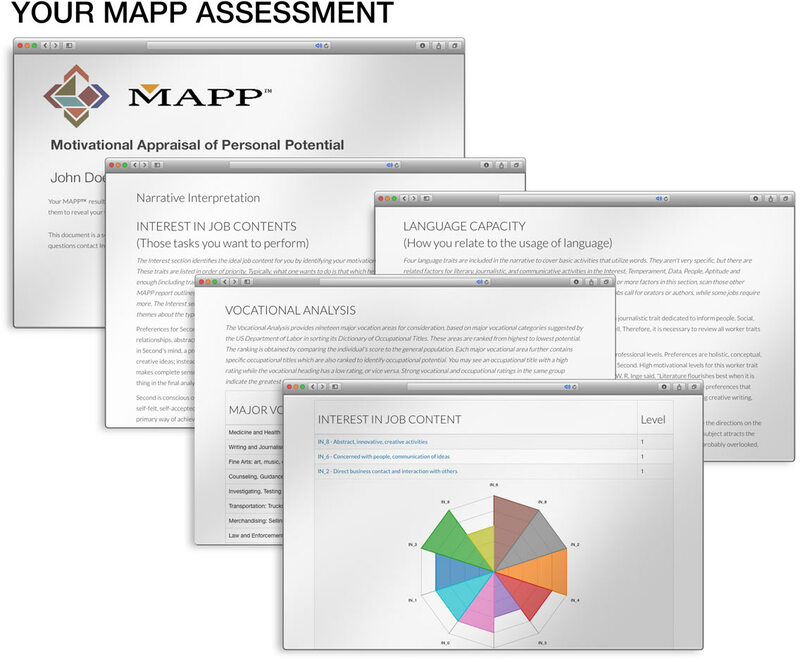 The MAPP™ career test is the first and most comprehensive career test online for consumers. More than 8 million people in nearly every country in the world have taken the MAPP test since its inception in 1995. It’s hard to believe a 22 minute test could be this easy, yet so revealing! Results are available immediately after taking the test. There’s no waiting for paper results in the mail. The MAPP test has undergone extensive validity and reliability testing by a number of psychologists, including correlating the results to the Strong Interest Inventory®. More than 3,500 partners, including career coaches, outplacement firms and school counselors, use the MAPP to gain insights and counsel their students and clients. Perfected for Over 20 Years! First online in 1995, the MAPP test is the first and most comprehensive online career test for consumers. Every 30 seconds, someone, somewhere in the world takes the MAPP (Motivational Appraisal of Personal Potential) career test. This website allows you to take the MAPP and receive your results in English, Spanish, French, Swedish, Polish and Portuguese. Reliability studies conducted with 32 adults employed full-time indicate that the MAPP test is highly consistent over time. The test-retest reliability outcomes for worker traits came out at 95 percent! You simply choose which one you would most prefer or least prefer, with one left blank. MAPP is quick, comprehensive, economical, and user friendly. I would recommend this ‘tool’ for managers, school or career counselors, and those in career transition. The report confirmed my suspicions about my personal strengths and opened my eyes about other possibilities."